Is your country party to any bilateral or multilateral treaties for the reciprocal recognition and enforcement of foreign judgments? What is the country’s approach to entering into these treaties and what, if any, amendments or reservations has your country made to such treaties? The United Arab Emirates (UAE) is party to a number of multilateral conventions on the recognition and enforcement of foreign judgments, including the Riyadh Convention on the Judicial Cooperation between the States of the Arab League 1983 (entered into without reservations) and the Gulf Cooperation Council (GCC) Convention for the Execution of Judgments, Delegations and Judicial Notifications of 1996 (entered into without reservations). the United Kingdom (Federal Decree No. 38 of 2007). If the UAE is party to a treaty in respect of the reciprocal enforcement of foreign judgments, whether multilateral or bilateral, the recognition and enforcement of foreign judgments in the UAE will follow the provisions of such treaty. In the absence of such a treaty, relevant provisions from select UAE statutes (infra) shall apply (see articles 235 to 238 of Federal Law No. 11 of 1992, also known as the UAE Civil Procedures Code). The application of the above treaties entered into and ratified by the UAE extends to the Dubai International Financial Centre (DIFC) courts pursuant to article 24(2) of the DIFC Court Law. Furthermore, the DIFC courts have entered into several memoranda of guidance relating principally to reciprocal enforcement arrangements with several courts and authorities, such as the UAE Ministry of Justice, the Ras Al Khaimah Courts, the Federal Court of Australia, the Supreme Court of Singapore, the Supreme Court of New South Wales, and the Commercial Court of England and Wales. Is there uniformity in the law on the enforcement of foreign judgments among different jurisdictions within the country? The UAE is a federation of seven emirates. It is a civil law jurisdiction with Arabic language local courts with the exception of the DIFC and the Abu Dhabi Global Market (ADGM), two free zones in which English language common law courts sit. Following article 104 of the UAE Constitution, as amended, each emirate has its own independent judicial system except for matters that are exclusively assigned to the union. Except for the emirates of Dubai, Ras Al Khaimah and Abu Dhabi, all other emirates have delegated their prerogative to an independent judicial system to the union. The DIFC and the recently established ADGM constitute common law legal enclaves within the prevalent civil law legal system of the UAE. The DIFC courts have jurisdiction to ratify foreign judgments of a foreign court pursuant to article 24(1)(a) of the DIFC Court Law (No. 10 of 2004) and article 7(6) of the Judicial Authority Law (No. 12 of 2004 as amended). In order to resolve conflicts of jurisdiction and judgments between the DIFC courts and the onshore Dubai courts, Dubai Decree No. 19 of 2016 created a joint judicial committee (known as the Judicial Tribunal) to resolve such conflicts. The Judicial Tribunal is constituted of seven members: three judges each from the Dubai courts and the DIFC courts, with the Chief Justice of the Dubai Court of Cassation sitting as the Chairman. What are the sources of law regarding the enforcement of foreign judgments? Legal concepts in the UAE are codified in statutes and regulations as opposed to originating from judicial precedents. Enforcement of foreign judgments in the UAE is primarily governed by articles 235 to 238 of the Federal Law No. 11 of 1992, also known as the UAE Civil Procedures Code. Legal interpretation of the legislation lies with the judiciary. In the DIFC, recognition and enforcement of foreign judgments are governed by article 7(6) of the Judicial Authority Law (as amended) and article 24(1) of the DIFC Court Law. To the extent the enforcing country is a signatory of the Hague Convention on the Recognition and Enforcement of Foreign Judgments in Civil and Commercial Matters, will the court require strict compliance with its provisions before recognising a foreign judgment? Not applicable. The UAE is not a signatory to the Hague Convention on the Recognition and Enforcement of Foreign Judgments in Civil and Commercial Matters 1971 (Hague Convention). What is the limitation period for enforcement of a foreign judgment? When does it commence to run? In what circumstances would the enforcing court consider the statute of limitations of the foreign jurisdiction? There is no specific limitation period applicable to the commencement of legal proceedings relating to the recognition and enforcement of foreign judgments in the UAE. That said, the general limitation rule in the UAE (several exceptions apply) is that a claim, such as one relating to the recognition and enforcement of a judgment, is time-barred after 15 years as per Federal Law No. 5 of 1985, also known as the UAE Civil Transactions Code. There is no express provision under DIFC law stipulating the limitation period applicable to the enforcement of foreign judgments by the DIFC courts. Which remedies ordered by a foreign court are enforceable in your jurisdiction? Pursuant to article 235(2)(d) of the UAE Civil Procedures Code, UAE courts will only enforce a final non-appealable order or judgment under the laws of the issuing home jurisdiction. The aforementioned article refers to the acquisition of res judicata force by the foreign judgment in accordance with the law of the court that issued it. As such, foreign interim orders and other appealable judgments and orders are generally not enforceable in UAE. By and large, foreign judgments and orders that satisfy the requirements of articles 235 to 238 of the UAE Civil Procedures Code are, in theory, enforceable in the UAE. More specifically, money judgments, final orders granting provisional and precautionary measures, final foreign enforcement orders, final injunctions (albeit not very common in practice in the UAE) and declaratory judgments (albeit not very common in practice in the UAE) are enforceable in the UAE so long as they satisfy the requirements of articles 235 to 238 of the UAE Civil Procedures Code. On the other hand, foreign judgments and orders may be enforced by the DIFC courts even where such judgments and orders are subject to a pending appeal in the relevant foreign jurisdiction. Generally speaking, the DIFC courts will only enforce money judgments for specific sums of money. Must cases seeking enforcement of foreign judgments be brought in a particular court? For enforcement applications before the local UAE courts, the application for recognition and enforcement of the foreign judgment shall be submitted before the competent court of first instance in the jurisdiction which the party seeks to enforce the judgment under the usual procedures of bringing a claim pursuant to article 235(2) of the UAE Civil Procedures Code. The language of the local UAE courts is Arabic and all documentation submitted to the court must be translated and certified by a legally sworn translator duly licensed by the UAE Ministry of Justice. For enforcement applications before the DIFC courts, the application for recognition and enforcement of the foreign judgment shall be determined by the DIFC Court of First Instance, which generally does not require a connection to the DIFC. To what extent is the process for obtaining judicial recognition of a foreign judgment separate from the process for enforcement? Before the local UAE courts and the DIFC courts, there is no procedural separation between recognition and enforcement. Before the local UAE courts, the purpose of the application filed before the relevant court of first instance is to request that the court of first instance recognise and declare the enforceability of the foreign judgment for which enforcement in the UAE is sought. Before the DIFC courts, the procedure for seeking recognition and enforcement of foreign judgments is the same. Both recognition and enforcement require the filing of a substantive claim with the DIFC Court of First Instance. Can a defendant raise merits-based defences to liability or to the scope of the award entered in the foreign jurisdiction, or is the defendant limited to more narrow grounds for challenging a foreign judgment? Before the local UAE courts, a defendant’s defences are usually limited to procedural issues. UAE courts will not entertain a merits-based defence and will limit their review to ensuring that certain procedural requirements are met under article 235 of the UAE Civil Procedures Code, such as the non-violation of UAE public policy and moral order as a result of the potential enforcement of the foreign judgment, the res judicata effect of the foreign judgment for which enforcement is sought and the lack of jurisdiction by the courts of the UAE. the judgment ordered the payment of taxes, fines or penalties. May a party obtain injunctive relief to prevent foreign judgment enforcement proceedings in your jurisdiction? There are no express statutory provisions or rules that empower the UAE courts to grant anti-suit injunctions for preventing a party from pursuing the enforcement of foreign court proceedings in breach of a jurisdiction clause, even where the UAE has exclusive jurisdiction to hear the dispute between the parties. Furthermore, the UAE courts are unlikely to stay proceedings in favour of another foreign competent court. Under article 235(2)(a) of the UAE Civil Procedures Code, a UAE court will reject a claim for recognition and enforcement of a foreign judgment if the UAE courts have jurisdiction. However, the DIFC courts may issue anti-suit and anti-enforcement injunctions in appropriate cases. What are the basic mandatory requirements for recognition of a foreign judgment? Requirement for reciprocity pursuant to article 235(1) of the UAE Civil Procedures Code: the judgment creditor has to prove that the foreign state issuing the judgment for which enforcement is sought would agree to enforce a UAE court judgment. Requirements for jurisdiction pursuant to article 235(2)(a) of the UAE Civil Procedures Code: the UAE court will not enforce a foreign judgment in the event it considers that it had original jurisdiction to hear the dispute. The UAE Civil Procedures Code codifies instances in which the UAE courts are likely to claim original jurisdiction over a dispute, such as articles 20, 21 and 33. The UAE courts provide a broad interpretation to the concept of original jurisdiction. For instance, the UAE courts will most likely claim jurisdiction in the event that a defendant has a place of residence or domicile in the UAE. The same approach applies in the event that the UAE is the situs of assets that constitute subject matter of the dispute. Furthermore, and pursuant to article 235(2)(b) of the UAE Civil Procedures Code, the UAE courts will assess whether the foreign judgment or order was issued by a court having jurisdiction in accordance with the law of its home jurisdiction. Requirement for proper service of the proceedings pursuant to article 235(2)(c) of the UAE Civil Procedures Code: the UAE courts will look into the service of process, specifically in relation to verifying that the parties were properly summoned to attend and had proper legal representation at the proceedings. As such, the judgment creditor has to submit before the UAE courts an Arabic translation of all services to satisfy this requirement. It is noteworthy to highlight that since the UAE courts adopt a strict interpretation of the requirements laid down in article 235 of the UAE Civil Procedures Code, it is very unlikely that the UAE courts will grant enforcement of ex-parte foreign judgments or foreign default judgments. Requirement that the foreign judgment or order be a final non-appealable order or judgment under the laws of the issuing home jurisdiction and the acquisition of res judicata force by the foreign judgment in accordance with the law of the court that issued it pursuant to article 235(2)(d). Requirement for absence of a conflicting judgment pursuant to article 235(2)(e). Requirement for non-violation of public policy and morals pursuant to article 235(2)(e). The DIFC courts require that the judgment be final and, for a specific sum of money, and that the foreign court that issued the judgment have had jurisdiction to hear the dispute in accordance with DIFC conflict of laws rules. May other non-mandatory factors for recognition of a foreign judgment be considered and if so what factors? Is there a requirement that the judicial proceedings where the judgment was entered correspond to due process in your jurisdiction, and if so, how is that requirement evaluated? Pursuant to article 235(2)(c) of the UAE Civil Procedures Code, the UAE courts will strictly assess whether the foreign judgment for which enforcement is sought was issued against parties that had been properly notified and represented in the legal proceedings. The UAE courts are very likely to reject the enforcement of a foreign judgment in the event that the procedural rules of the foreign state are unknown under the laws of the UAE. In the DIFC courts, there is no requirement that the process resulting in the foreign judgment correspond to the process in the DIFC courts. However, there is a requirement that the foreign proceedings have been conducted in a manner that the DIFC courts recognise as not being contrary to the principles of natural justice. Generally speaking, this will mean that the judgment debtor was given due notice of the foreign proceedings and an opportunity to be heard. Will the enforcing court examine whether the court where the judgment was entered had personal jurisdiction over the defendant, and if so, how is that requirement met? Pursuant to article 235(2)(a) of the UAE Civil Procedures Code, the UAE courts will examine whether they have original jurisdiction over the dispute, including personal jurisdiction over the defendant. For example, articles 20 and 21 of the UAE Civil Procedures Code provide for personal jurisdiction over UAE nationals and foreigners who have a residence or domicile in the UAE. the parties agreed before commencement of the proceedings, with respect to the subject matter of the proceedings, to submit to the jurisdiction of the relevant court. Will the enforcing court examine whether the court where the judgment was entered had subject-matter jurisdiction over the controversy, and if so, how is that requirement met? Pursuant to article 235(2)(a) of the UAE Civil Procedures Code, the UAE courts will examine whether they have original jurisdiction over the dispute, including subject-matter jurisdiction over the controversy. The UAE courts will usually claim jurisdiction over disputes involving employment agreements performed in the UAE, real estate property located in the UAE and commercial agreements performed in the UAE. Must the defendant have been technically or formally served with notice of the original action in the foreign jurisdiction, or is actual notice sufficient? How much notice is usually considered sufficient? The UAE courts will strictly apply article 235(2)(c) of the UAE Civil Procedures Code, which lays down the requirement for proper notice of the proceedings. 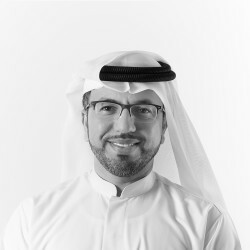 As such, the UAE courts will examine whether the service of process was properly done and will verify that all parties to the dispute had proper notice of the proceedings and were afforded proper legal representation during the course of the proceedings. As such, actual notice is deemed not to be sufficient to pass the requirement set out under article 235(2)(c). The UAE courts may require that the notice be equivalent to that required under the laws of the UAE to be considered sufficient. In relation to service, the relevant consideration for the DIFC courts is whether the foreign proceedings were conducted in a manner that the DIFC courts recognise as being contrary to the principles of natural justice. 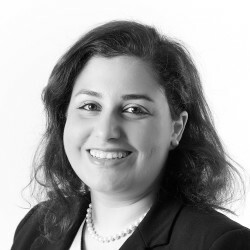 The DIFC courts are therefore unlikely to decline enforcement of a foreign judgment on the basis that a technical service requirement was not complied with, so long as the judgment debtor had actual notice of the proceedings and had an opportunity to be heard. Will the court consider the relative inconvenience of the foreign jurisdiction to the defendant as a basis for declining to enforce a foreign judgment? The local UAE courts will consider the relevant inconvenience of the foreign jurisdiction to the defendant to decline enforcement of a foreign judgment. Broadly speaking, the DIFC courts will not decline enforcement of a foreign judgment in cases where the foreign court had jurisdiction over the matter in accordance with DIFC conflict of laws rules, even if the foreign court was an inconvenient forum for the defendant. Will the court examine the foreign judgment for allegations of fraud upon the defendant or the court? Both the local UAE courts and the DIFC courts will examine the foreign judgment for allegations of fraud upon the defendant or the court. Will the court examine the foreign judgment for consistency with the enforcing jurisdiction’s public policy and substantive laws? Both the local UAE courts and the DIFC courts will examine the foreign judgment’s consistency with UAE public policy before allowing its enforcement. While there is no a proper statutory definition of public policy under the laws of the UAE, the local courts of the UAE usually deem public policy, which shall be interpreted in light of Sharia (Islamic law) principles, to include both procedural and substantive matters. While the DIFC courts will also consider UAE public policy when examining the enforcement of a foreign judgment, generally speaking it is difficult to resist the enforcement of a foreign judgment on the basis of public policy arguments before the DIFC courts. What will the court do if the foreign judgment sought to be enforced is in conflict with another final and conclusive judgment involving the same parties or parties in privity? Pursuant to article 235(2)(e) of the UAE Civil Procedures Code, the UAE courts will not grant enforcement of a foreign judgment that is in conflict with another final and conclusive domestic UAE judgment concerning the same parties and controversy. If the foreign judgment is in conflict with an existing final and conclusive judgment involving the same parties in relation to the same subject matter, then the DIFC courts are likely to decline enforcement of the foreign judgment on grounds of public policy or that the foreign proceedings were conducted in a manner that the DIFC courts recognise as being contrary to the principles of natural justice. This is regardless of whether the conflicting judgment is a judgment of a UAE court or a foreign court. Will a court apply the principles of agency or alter ego to enforce a judgment against a party other than the named judgment debtor? Principles of agency or alter ego will not be applied by the local UAE courts and the DIFC courts when examining an enforcement application of a foreign judgment against a party other than the named judgment debtor. What will the court do if the parties had an enforceable agreement to use alternative dispute resolution, and the defendant argues that this requirement was not followed by the party seeking to enforce? Pursuant to article 235(2)(b) of the UAE Civil Procedures Code, the UAE courts will assess whether the foreign judgment or order was issued by a court having jurisdiction in accordance with the law of its home jurisdiction. Although this particular legal question has never been tested before the UAE courts, it is unlikely that the UAE courts will enforce a foreign judgment if the judgment debtor contends and proves that the issuing court did not have jurisdiction owing to the presence of a valid and enforceable alternative dispute resolution clause, such as a binding arbitration agreement that was not followed by the enforcing party. It would be difficult to resist enforcement of a foreign judgment in the DIFC courts on the basis of a jurisdiction clause in circumstances where the foreign court had jurisdiction in accordance with DIFC conflict of laws rules and the foreign court considered and dismissed jurisdictional arguments raised by the judgment debtor. The fact that a foreign judgment was obtained in breach of a tiered dispute resolution clause, requiring the parties to engage in informal methods of dispute resolution before commencing formal proceedings, is unlikely to be considered a valid ground for resisting enforcement of a foreign judgment by the DIFC courts. Are judgments from some foreign jurisdictions given greater deference than judgments from others? If so, why? Foreign judgments issued by states with which the UAE has a bilateral or multilateral agreement are more easily enforceable in the UAE. Specifically, foreign judgments issued by a fellow GCC member receive greater deference when it comes to execution in light of the GCC Convention for the Execution of Judgments, Delegations and Judicial Notifications of 1996. Since the DIFC courts apply the English common law approach to the enforcement of foreign judgments, the DIFC courts should not treat judgments emanating from certain jurisdictions with greater deference than judgments emanating from other jurisdictions. Will a court ever recognise only part of a judgment, or alter or limit the damage award? The local UAE and DIFC courts will not partially enforce a foreign judgment and will not make an alteration to the foreign judgment. As stated above, the UAE courts adopt a strict approach for enforcement. As such, if sections of the foreign judgment for which enforcement is sought contravene the applicable rules in the UAE, the UAE courts are unlikely to grant enforcement. In certain cases, the DIFC courts may be willing to recognise and enforce only parts of a foreign judgment. For example, where a foreign judgment provides for the payment of damages and a penalty, the DIFC courts may only recognise and enforce the order for damages and decline to recognise and enforce the penalty for the reasons stated above. In recognising a foreign judgment, does the court convert the damage award to local currency and take into account such factors as interest and court costs and exchange controls? If interest claims are allowed, which law governs the rate of interest? When recognising a foreign judgment, the local UAE courts will convert the damages award into the local currency (Emirati dirhams), and if the foreign judgment includes costs and interests, the same shall also be converted. The courts may award court fees as well as legal fees for the recognition process which are usually minimal (usually not more than 2,000 Emirati dirhams). The UAE local courts will not award interest on costs. Furthermore, the UAE local courts will not award interest on the damages award, but will apply any interest awarded by the foreign courts. The interest rate, if applicable, is usually governed by the laws of the issuing home jurisdiction; but if the interest rates are exorbitant, the UAE courts may disregard such interest. The DIFC Court of First Instance will normally issue its judgment in the same currency specified in the relevant foreign judgment. The DIFC courts may also be willing to recognise and enforce interest and court costs awarded under the foreign judgment. However, once the DIFC court enters judgment recognising and enforcing the foreign judgment, this post-judgment interest is determined by DIFC law. Is there a right to appeal from a judgment recognising or enforcing a foreign judgment? If so, what procedures, if any, are available to ensure the judgment will be enforceable against the defendant if and when it is affirmed? Before the local UAE courts, the losing party may appeal a judgment enforcing a foreign judgment by way of appeal and cassation. Before the DIFC courts, the losing party may seek permission to file an appeal against the judgment enforcing a foreign judgment before the DIFC Court of Appeal. Once a foreign judgment is recognised, what is the process for enforcing it in your jurisdiction? There is not a separate process for enforcing a foreign judgment before the local UAE courts. The local UAE courts will issue a domestic judgment for the purpose of enforcement once the foreign judgment has been recognised. An enforcement file will be opened for the purpose of the enforcement proceedings. In the DIFC courts, once a foreign judgment has been recognised and enforced, a separate enforcement application should be made to the DIFC courts’ Enforcement Division. The procedure for enforcement varies depending on whether enforcement is sought against assets within the DIFC or against assets onshore in the wider UAE. Should enforcement be sought against assets within the DIFC, then the enforcement methods are those available under the rules of the DIFC courts and are similar to those available in the English courts. If enforcement is sought against assets onshore in the wider UAE, then usually an execution letter will be issued by the DIFC courts to the Chief Justice of the Court of First Instance of the Dubai Courts. The Dubai courts will then enforce against assets within Dubai or deputise the courts of an alternative Emirate to enforce the judgment against assets within that Emirate. What are the most common pitfalls in seeking recognition or enforcement of a foreign judgment in your jurisdiction? Recognition and enforcement of foreign judgments in the UAE remains a challenging process, particularly in the absence of a bilateral or multi-lateral treaty entered into between the UAE and the issuing foreign state. This is in part due to the fact that the UAE is not a signatory to the Hague Convention, rendering the recognition and enforcement of foreign judgments in the UAE a complicated and lengthy procedure. To date, the number of bilateral and multilateral treaties on the recognition and enforcement of foreign judgments entered into by the UAE remains limited. Furthermore, since most judgment debtors are domiciled or resident in the UAE, UAE courts will claim original jurisdiction over the dispute and reject the enforcement of the foreign judgment. While the DIFC courts adopt a pro-enforcement attitude to foreign judgments, the costs of the proceedings remain relatively high (usually a percentage of the claimed judgment amount). The DIFC courts continue to provide an enforcement-friendly framework. The Barclays Bank PLC et al v Essar Global Fund Limited  DIFC CFI 036 judgment in which the DIFC courts enforced, for the first time, a US judgment, is another example of this trend. In its decision to enforce the New York judgment, the DIFC courts affirmed, through clear and balanced reasoning, their constitutionally granted jurisdiction to enforce foreign judgments (such an action not constituting a matter of foreign affairs falling within the jurisdiction of the UAE’s Federal Supreme Court). The initial decisions of the Judicial Tribunal show a clear preference for the jurisdiction of the Dubai courts when resolving situations of conflicts of jurisdiction, although the grounds for doing so depend heavily on the facts of each case. The impact of the Judicial Tribunal’s decisions has so far been limited to curtailing the use of the DIFC courts as a ‘conduit’ jurisdiction for the onward enforcement outside the DIFC of arbitral awards seated outside the DIFC. However, in most cases, the Judicial Tribunal has found no real conflict of jurisdiction between the courts.